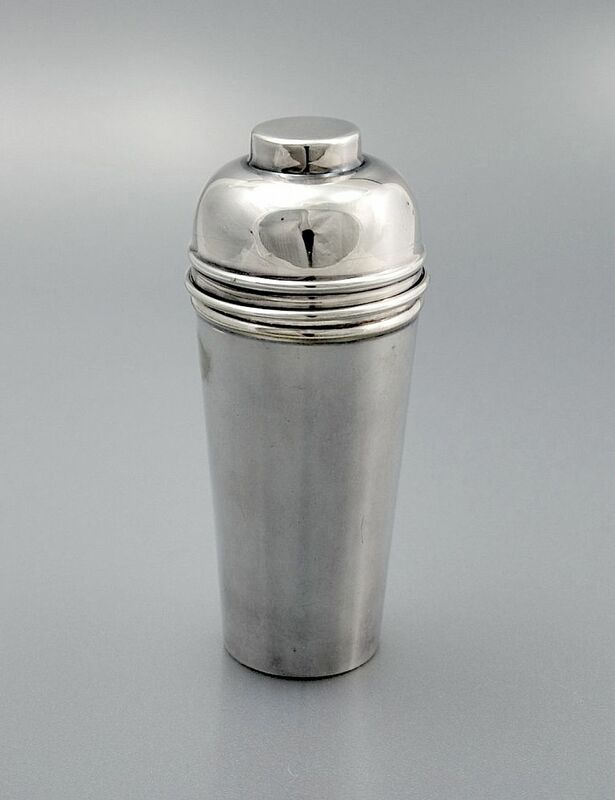 This small Art Deco silver cocktail stick holder is in the shape of a cocktail shaker. 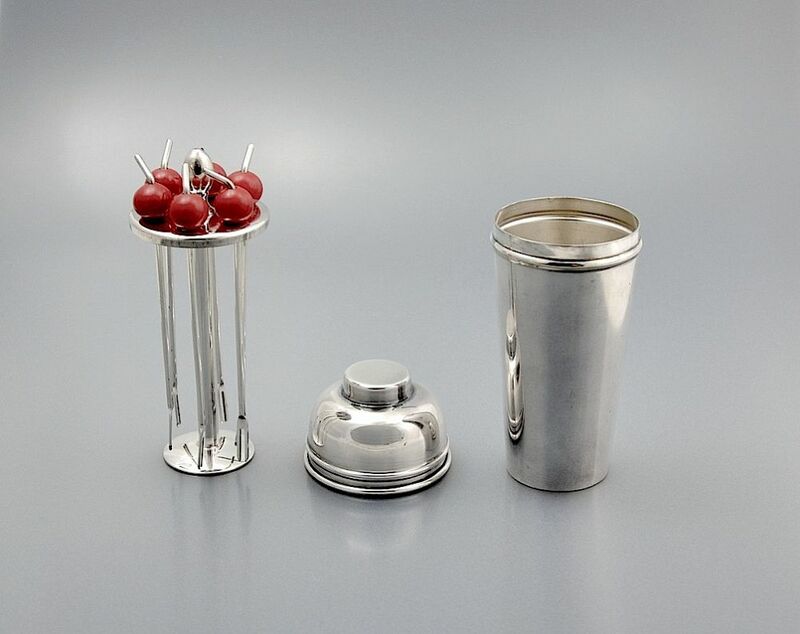 The top comes off to reveal 6 red galalith topped silver plated cocktail sticks in a removal silver plated stand. Marked underneath P.H.V.& Co. E.P.N.S & Made in England. The finishing touch for any cocktail fan!